Our goal is to make your luxury and exotic car buying and owning experience unlike any other major purchase. With an unmatched attention to detail, truly impressive product lineup, and unique access to OEM parts, our Aston Martin and Lotus dealerships in Glenview, IL is equipped to provide the ultimate in customer service every time you visit. In fact don’t think of us as a dealership at all. We’re your personal automotive concierge that offers the British engineered driving experience that your lifestyle demands. Car Buying & Service Experience! Our commitment to our customers continues well beyond the date of purchase. We also have a professional team of Aston Martin, Lotus technicians on hand with the skills and equipment to handle all manner of maintenance and repairs, as well as a full stock of authentic parts. 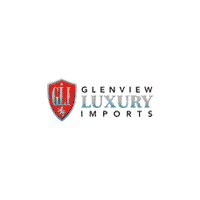 Make your way to Glenview Luxury Imports in Glenview today for quality vehicles, a friendly team, and professional service at every step of the way. And if you have any questions for us, you can always get in touch at (847) 904-1233.